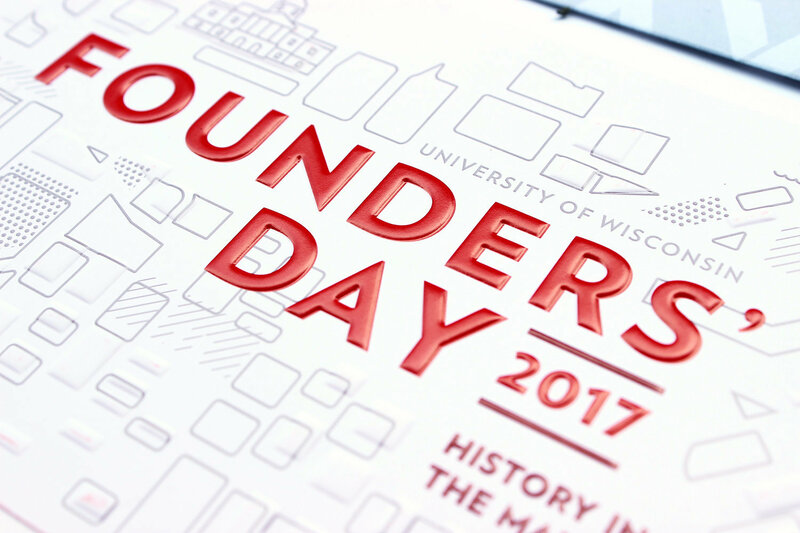 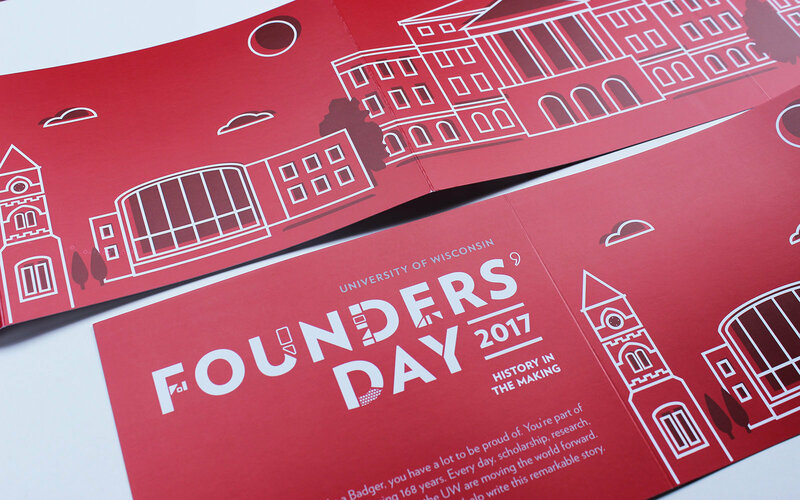 Founders' Day Event Design | Christie Evenson Design Co.
AS PART OF THE WISCONSIN ALUMNI ASSOCIATION, Dozens of chapters participate each year in Founders' Day events to celebrate the founding of the University of Wisconsin. 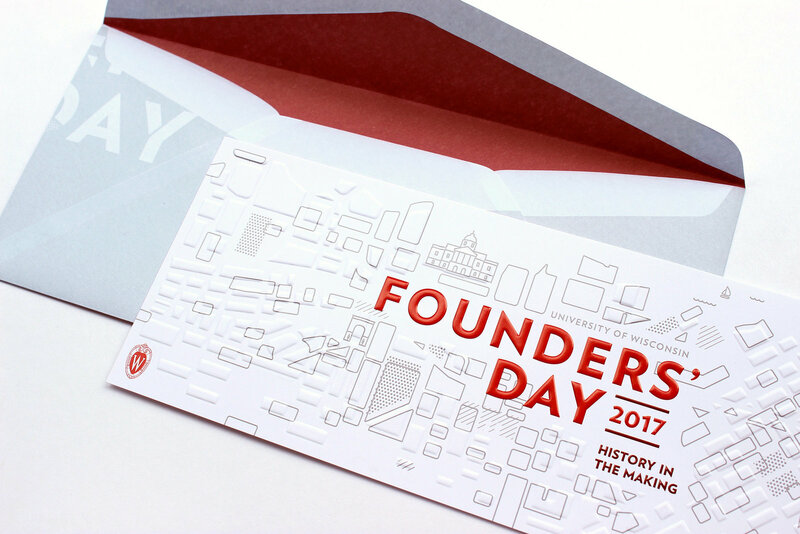 To celebrate this history I created a map-inspired illustration for the event invitations. 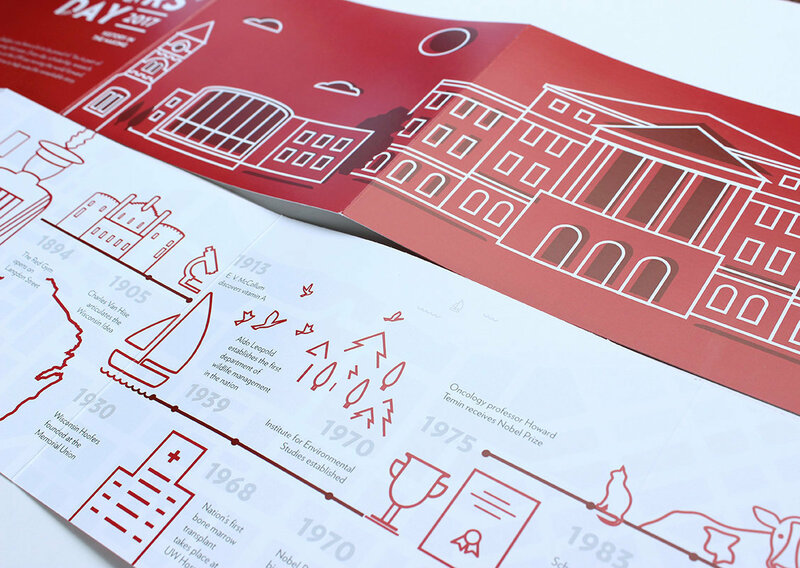 I represented the growth and progress in the university through the map, the embossed elements reflecting what the map looked like in 1848 and the outlined shapes loosely reflecting the current map of campus. 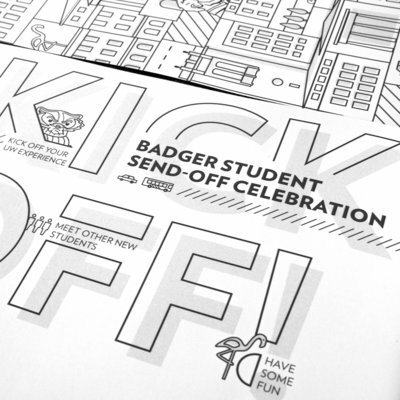 To enhance this further I included dot and diagonal line patterns as an interpretive rendering of the growth in enrollment and courses taught. 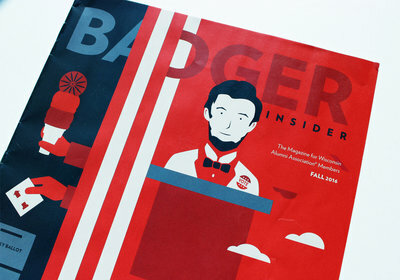 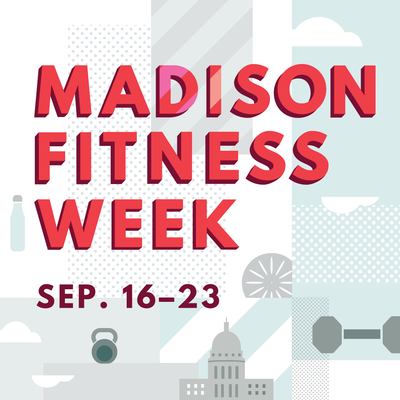 Through these physical changes I want to illustrate the ever-evolving, advancing nature of the University of Wisconsin-Madison. 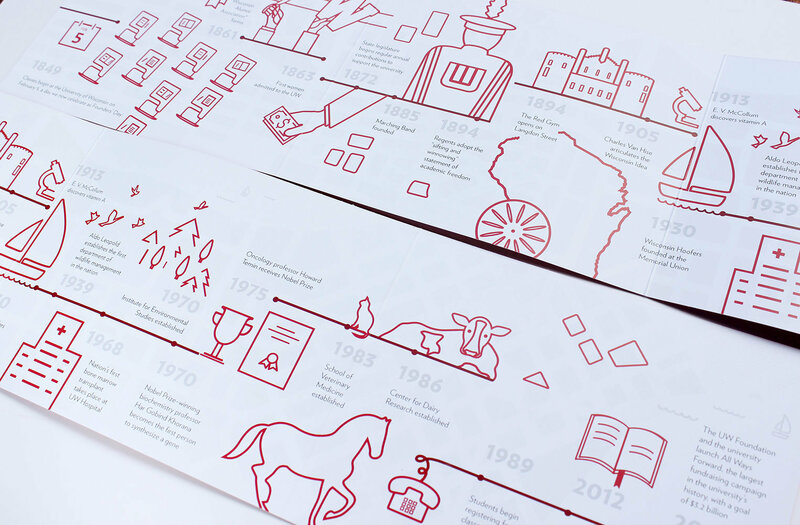 As a decorative, interactive piece on tables at each event I created an illustrated timeline of UW history. 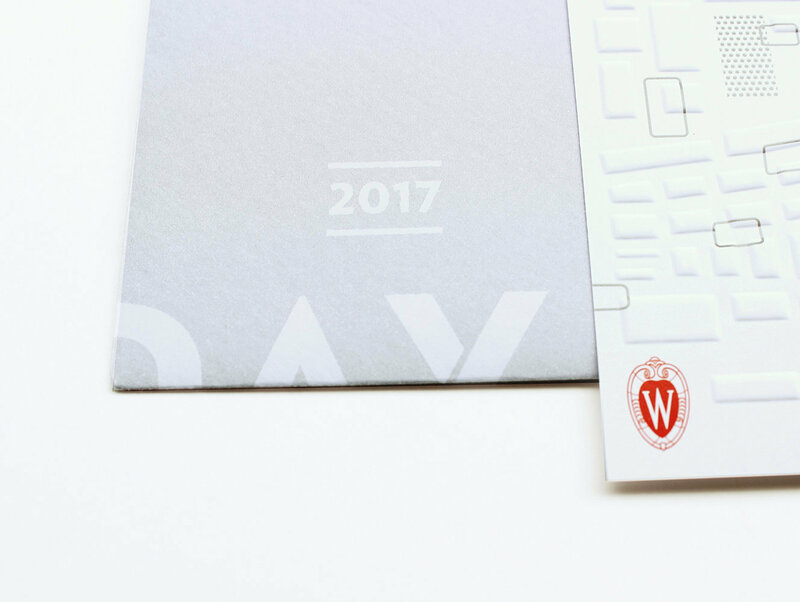 These can stand in a cube, accordion fold, or flat on the table with multiple sides and angles so that no matter where you are at the table, the piece invites you in to take a closer and spur discussion with other local alumni.